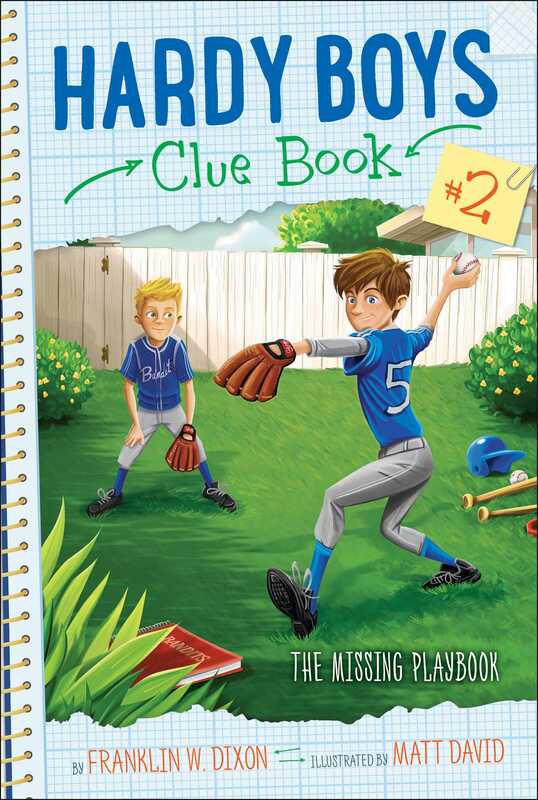 Frank and Joe try to hit a home run by figuring out what happened to the Bayport Bandits’ playbook before the first big baseball game in the second book in an all-new, interactive Hardy Boys chapter book mystery series. Includes space for readers to jot down their own ideas and solutions to the case! Frank and Joe and the rest of their Bayport Bandits teammates can’t wait for Little League to start! Everyone is celebrating the beginning of the season at Speedy Zermino’s house. While they’re all together, Coach Quinn shows off the Bandit’s new playbook that contains all of the new strategies and plays that will help them to a winning season. The next day at practice, Coach Quinn realizes the all-important playbook has gone missing! With their teammates counting on them to get the book back, Frank and Joe must take a swing at cracking this case…or their season will be over before it even begins.